Hopefully I convinced you last week that the CW is not a network only for hordes of giggling teenage girls. Now that you know that it’s the home of interesting programming for adults, male and female alike, I’d like to guide you to some shows that you might enjoy. What better time to catch up and join in then during December and January, when all that is on is reruns anyway? I’ll guide you through the schedule by day, and it’s easier than most networks. The CW only has hour long shows, and they only have two hours of primetime a night, for a total of ten shows. 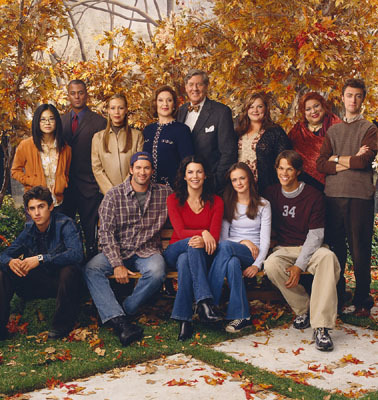 Missing all the wacky citizens of Gilmore Girls’ Stars Hollow, Connecticut? Did you love all the small town hijinks of Gilmore Girls? But, did watching Lorelei making poor life choices and forcing her daughter be the responsible one make you overly anxious and queasy? Good news! 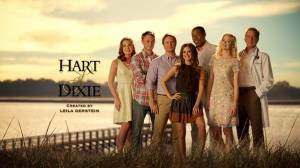 Hart of Dixie has all the lovable characters from Stars Hollow with none of the stress! Try the lovable residents of Bluebell, Alabama. The outfits are better, and there’s less bad life decision stress. HofD follows Zoe Hart, a NYC surgeon who inherits her father’s small town Alabama family practice. There’s a little bit about her patients, but mostly only so zaniness can ensue. Other main characters include Wade, the good looking, wise-cracking bartender; George the straight arrow lawyer; Lemon the southern belle antagonist that is so much fun you never really end up hating her; Annabeth the chipper, goodhearted friend; and Lavon, the former football star/mayor. 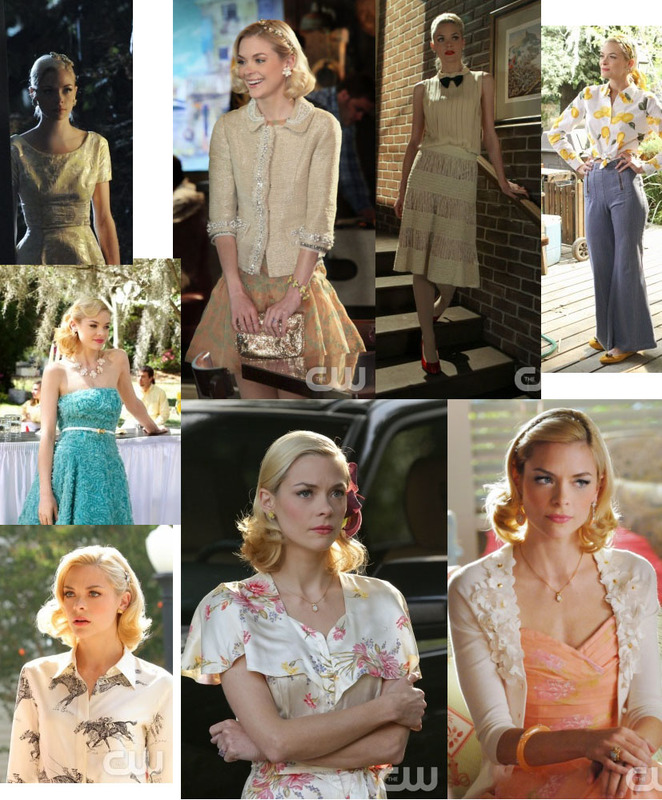 Half the fun of watching is seeing what they’ll dress Lemon in next. There’s even a kooky couple that eventually get married and the groomsmen all dress up as Jedis and the bridemaids are elves. It’s in its third season. Past seasons are on Netflix; the current one is on CWTV.com or Hulu.com. 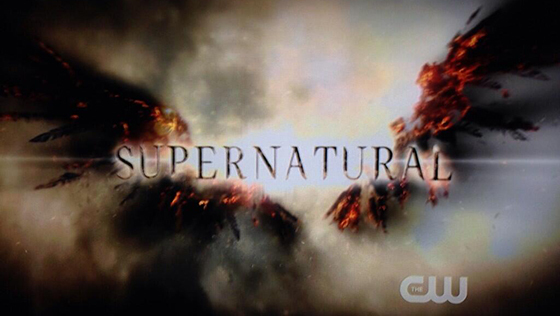 Ugh, even the title card for this show is terrible. How brave is your love? I think I just threw up in my mouth a little. 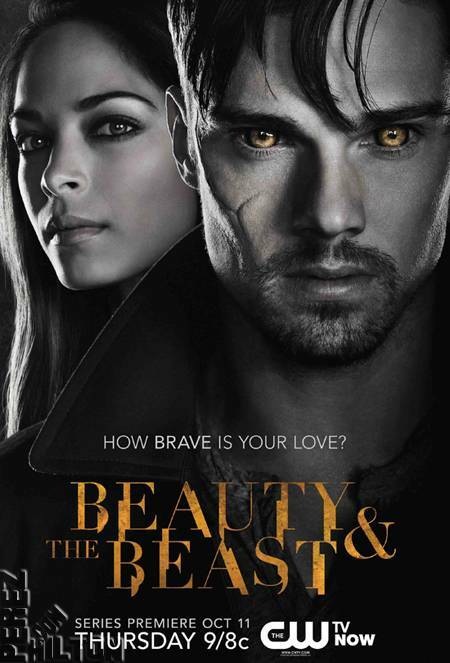 Beauty and the Beast comes on after HofD, but it’s horrible and soon to be canceled according to TV by the Numbers’ Cancellation Bear, and the Bear is rarely wrong. I’m shocked that it made it out of its first season, frankly. If you thought Emily was dangerous with a red Sharpie, you’ll love watching Klaus’s reign of terror. I do a little TV dance on Tuesday nights these two shows make me so happy. If you liked that first twisty delicious season of Revenge, with the dark plotting and shifting alliances, then you’d like The Originals. Okay, if you absolutely cannot watch another show about vampires, werewolves, and witches, then I suppose you might not like The Originals, but even then I feel like you should give it a shot. 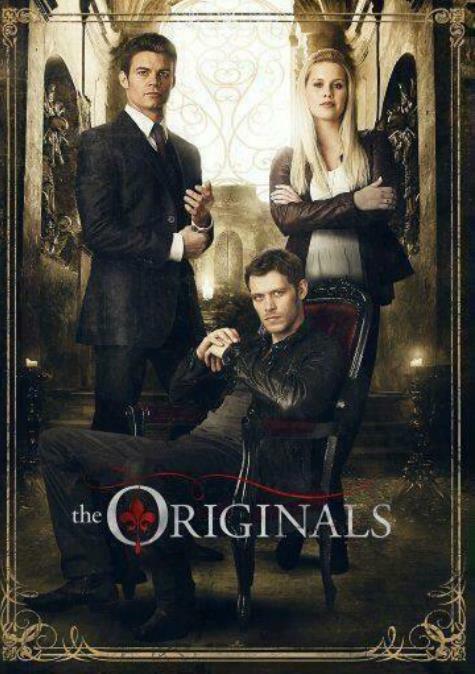 The show follows three siblings: Elijah (the noble one), Rebekah (the passionate one), and their half brother Klaus (the wounded one that has a tendency to be more villain than hero). 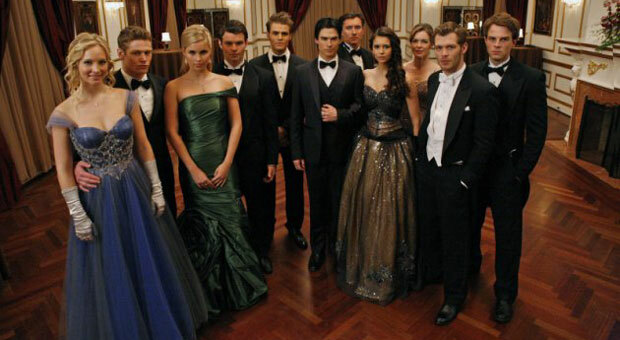 They are half of a group of siblings (the others are unimportant) that were the original vampires. Klaus also has the benefit of being a hybrid (he had a werewolf dad). Besides the Originals, the show has warring clans of witches, werewolves, and regular vamps. The series takes place in New Orleans with numerous other supernatural creatures engaged in power struggles. All of that is fun window dressing, but the show is about these three and whether or not they are going to trust each other and come together as a family, or try to kill each other. The actors that play the three are just fantastic and mesmerizing. For more delightful Originals mayhem, go back and watch them on The Vampire Diaries. The siblings all began as villains on The Vampire Diaries, so if you want to see more of them (you will), you can watch back seasons of that show on Netflix. Otherwise, the current season of this new show is available on CWTV.com and Hulu. I explained the premise of Supernatural last week when discussing shows for guys, so I won’t repeat it. If you like Sleepy Hollow, or if you ever caught Syfy’s Warehouse 13 (another blatant rip-off of the show), then you should like the original. Otherwise, I don’t know what to compare it to, because before I saw its imitators, I’d never really seen a show like it. 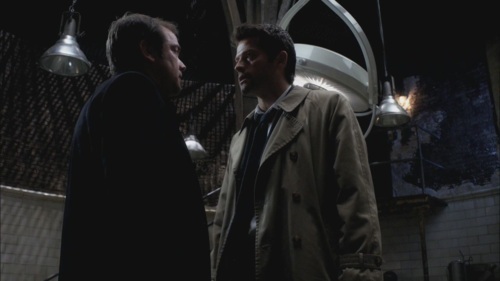 Fan favorites Crowley and Castiel–both great with one-liners, but not so much with wardrobe changes. The only two constant characters from all nine seasons are brothers Sam and Dean, but the angel Castiel has been with the show since season four, and the demon Crowley I believe has been around just as long. I realize going back and watching eight back seasons (Netflix again) is a pretty large commitment, so if you want to just jump in, I honestly think you’ll be fine. If you get bored in season one, you can laugh at Sam’s bad hair. It’s worth going back, though. I think I joined in somewhere around season six, so I had to do some decent catch up myself. A warning: it took a little while for it to find its footing, so season one can be a bit slow. I can’t stress enough, though, how funny this show is. I usually watch it after my husband has gone to bed, and multiple times I’ve woken him up laughing so loudly.